A family of five moves into a beautiful, sprawling dream home. One problem: it's cursed, having caused the deaths of the previous family to occupy it, leaving only one survivor (Jacki Weaver). 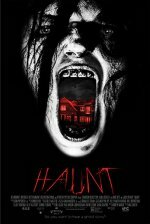 The family's moody 18-year-old son and his mysterious new neighbor inadvertently awaken something in the house while also violently shaking the many skeletons in the many closets.